Boscastle in Cornwall, is a quaint little fishing village and harbour which is full of pretty, odd-shaped and odd-fitting cottages. The National Trust owns and cares for the harbour, which is one of the unspoilt treasures on the Cornish coast. The harbour and surrounding area is an Area of Outstanding Natural Beauty. The white-washed, thatched cottages are full of Cornish character. Some of those buildings are now pubs and cafes. So you can look inside them for the price of a cup of tea. The village and its beautiful views inspired some of Thomas Hardy’s moving poetry. It was also the setting for his novel, A Pair of Blue Eyes. Hardy was an architect, and sometimes worked in Boscastle, and it was here that he met his wife. A highlight of Boscastle is the Museum of Witchcraft and Magic which Cecil Thomas opened in 1960 . It houses the largest collection of objects relating to witchcraft, magic and the occult in the world. They have over 3000 objects and over 7000 books, revealing the roots that magic has had in our culture. 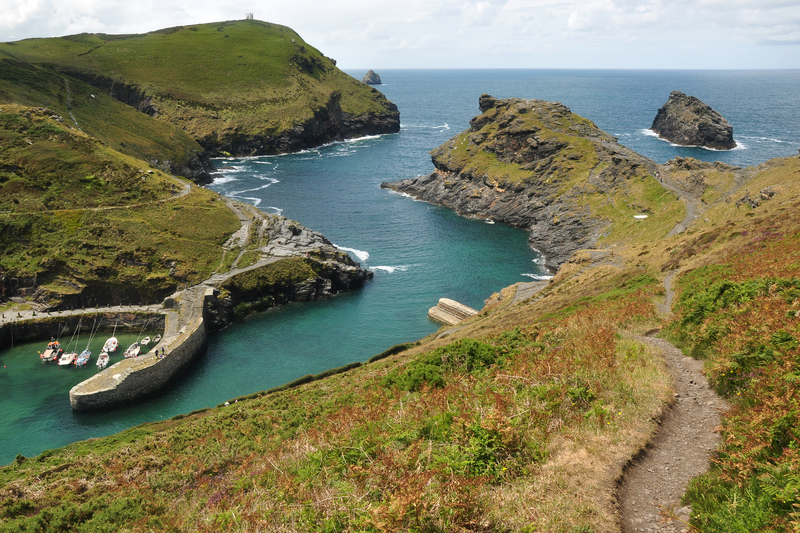 Thomas choose Boscastle as it is close to a “pre-historic stone maze carved into a living rock face”. Proof, Thomas said, of man and his magic-making active in the area. Thomas used his theatrical skills to create the entertaining exhibitions. Graham King took over the museum on Halloween night in 1996. Today, follow the footpath, to the left of the quayside, to the Lookout, a vantage point where you may view the rugged coastline. Along the harbour, and beside the river, there are cafes serving Traditional Cream Tea, such as the Harbour Light Tea Garden, and the Boscastle Farm Shop and Café. There are lots of individual shops selling local themed gifts and crafts, including the Boscastle Pottery shop. Previous PostEvery season is Festival Season! Can we tempt you?